Everyone’s favorite lovable dinosaur is back! After the huge success of Yoshi’s Wooly World, Nintendo has brought the gravity defying, egg throwing dino back with an all new adventure that has a wonderful and unique aesthetic. Yoshi’s Crafted World replace the wool of the previous game with household objects, construction paper, cardboard and more! It’s the same kind of kooky side-scrolling fun you’ve come to expect from the Mushroom Kingdom, so check out this gameplay video of Yoshi controlling a giant scrapped together mech as he terrorizes a diorama-like level! Yoshi’s Crafted World is the colorful and playful sequel to Yoshi’s Wooly World. Players will travel in side-scrolling stages with 3D graphics in a 2.5D environment, featuring the ability to move to the background and reverse the stage for hidden extras and puzzle solving. Yoshi will be able to throw eggs and eat enemies in classic form, and this latest entry will feature multiplayer co-op in which players can work together as two Yoshi. The game is also set to feature Amiibo functionality, with Mario-themed Amiibo unlocking a variety of themed costumes for Yoshi to wear. Are you interested in jumping into the latest adventure starring Yoshi? Let us know your thoughts on the game on Facebook, Twitter, or the Comments section below. 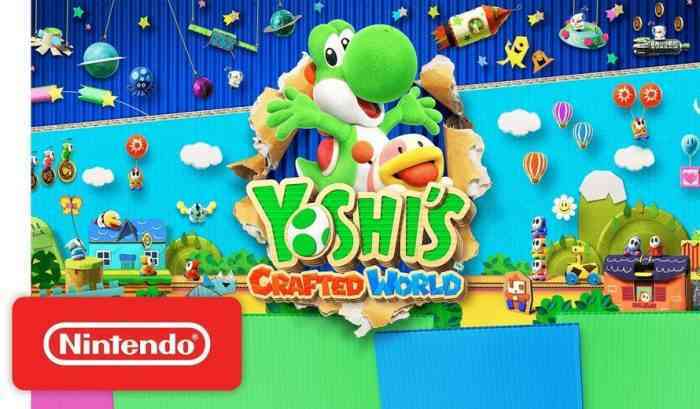 Yoshi’s Crafted World is set for release March 29, and will be available exclusively on the Nintendo Switch. For more information check out the game’s official website. Next One Piece World Seeker Video Review – We Are on the Cruise!